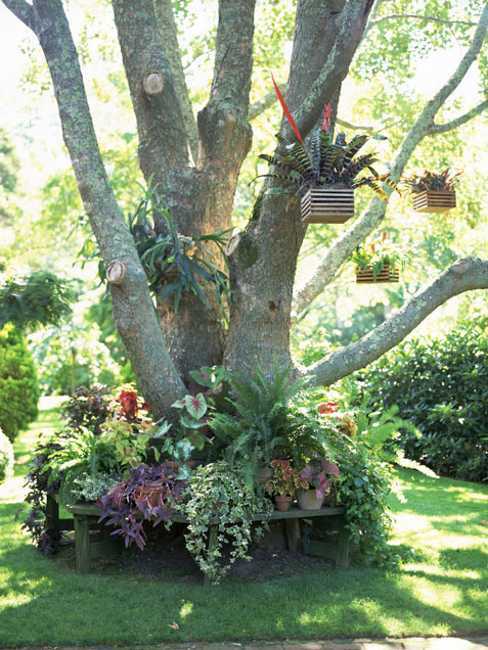 Creative backyard landscaping ideas that include simple and elegant or bold and spectacular centerpieces make your surroundings look interesting and unique. 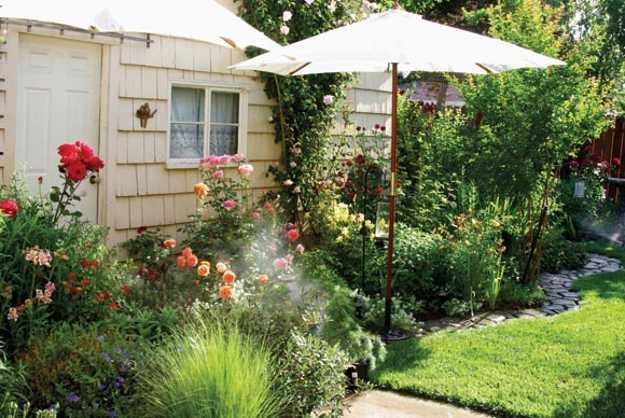 Here is a collection of great backyard designs and landscaping ideas that give great inspirations to spruce up your outdoor living spaces around the house. 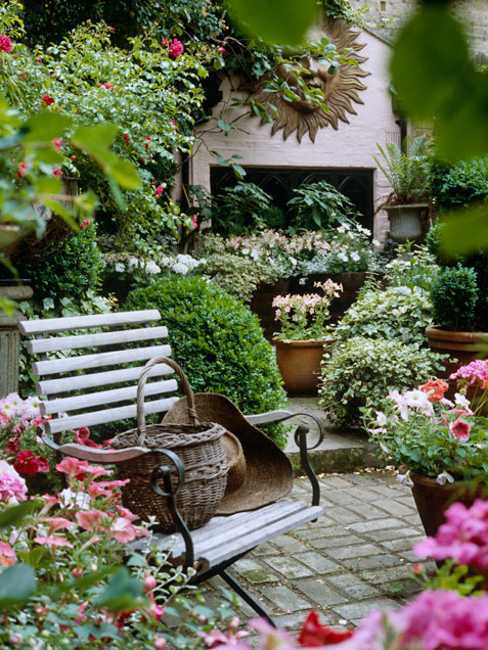 These pictures of beautiful backyards and gorgeous landscaping ideas are inspiring and encouraging to add yard decorations to your outdoor living spaces and give them character and appeal. 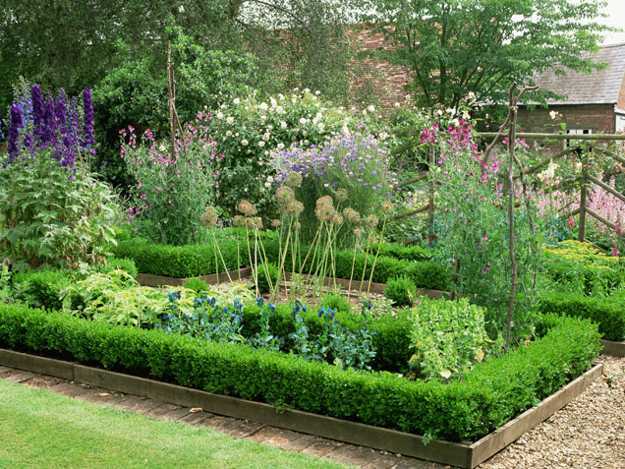 Backyard landscaping and garden designs benefit of any creative idea, handmade decorations or structures decorated with flowers, water features or unusual furniture and decor. 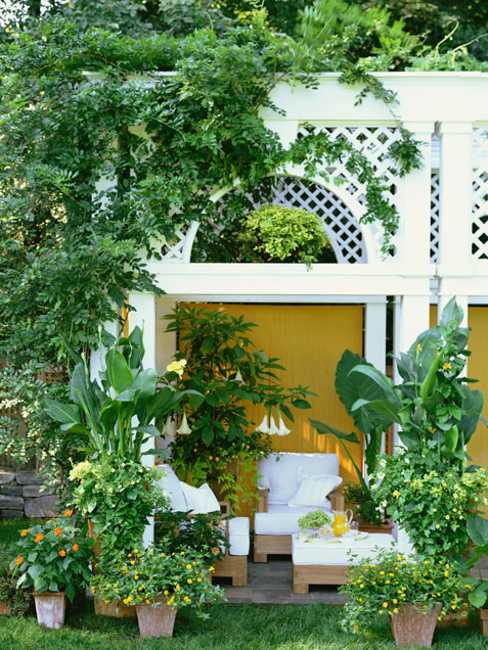 Even very simple decorations make wonderful centerpieces and turn your surroundings into cozy and pleasant places to relax and enjoy warm weather. 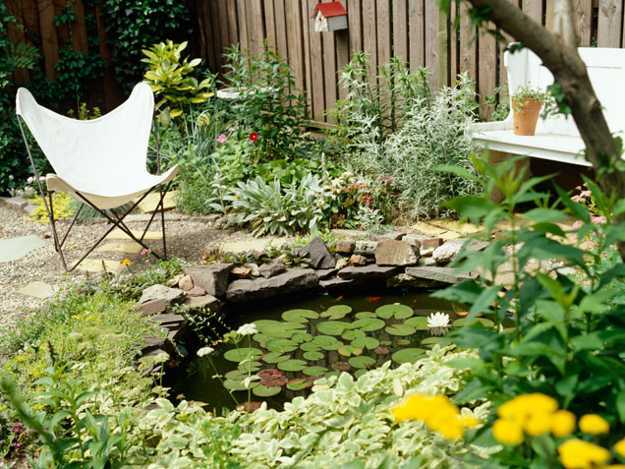 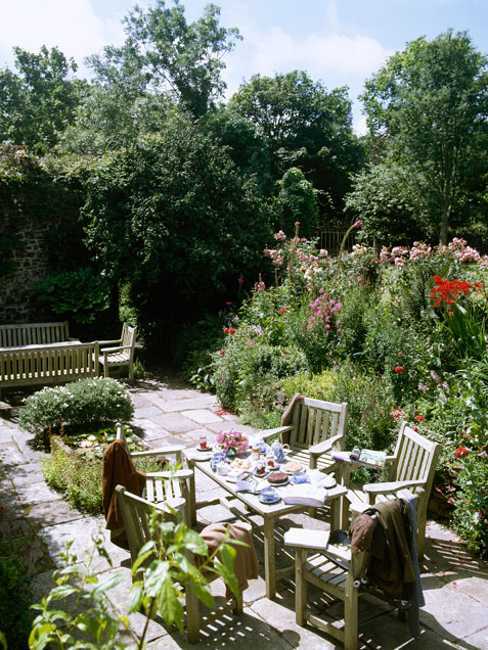 Select the backyard landscaping ideas that appeal to you and recreate the atmosphere and mood in your garden, adding interesting furniture, patio or pergola design, creating an unusual flower bed or building a small pond. 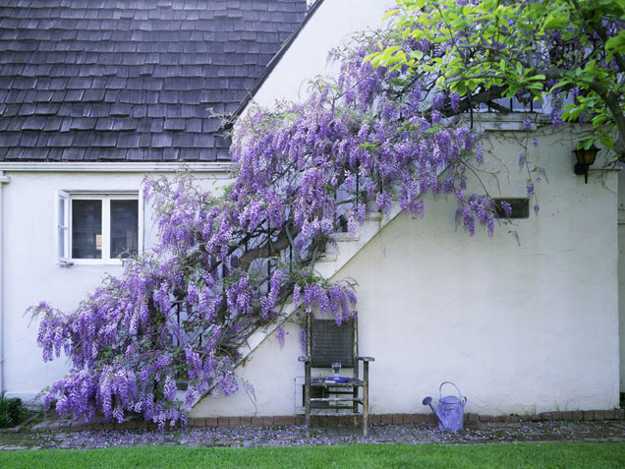 The photographs provide great landscaping ideas for your yard transformation. 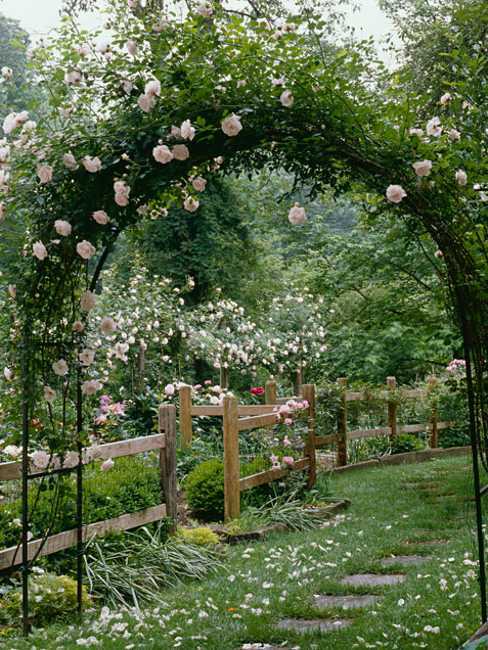 Small patio, a deck or pergola with climbing flowers, a hammock or garden bench surrounded by lush vegetation, a fountain or hanging daybed are excellent ideas for adding beautiful centerpieces to backyard landscaping. 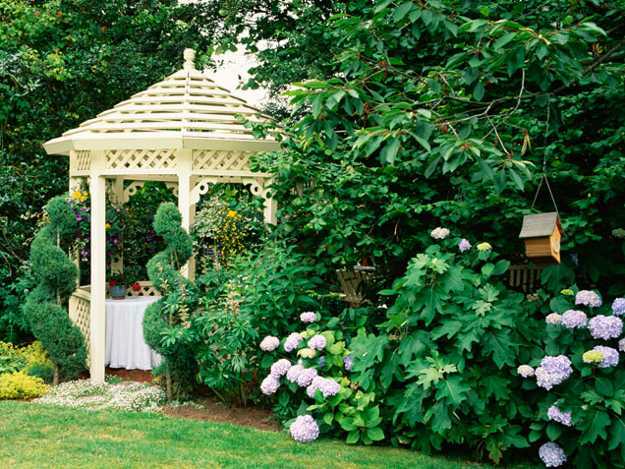 Patios and decks, pergolas and outdoor seating areas not only provide beautiful centerpieces to backyard designs, but they can also add functionality to your outdoor living spaces and give a final touch to backyard landscaping. 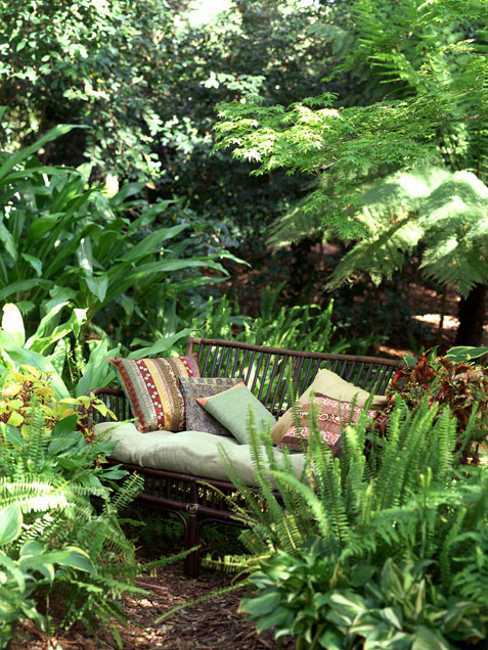 A wooden deck or stone patio, garden bench or blooming pergola create excellent places to rest and enjoy tranquility. 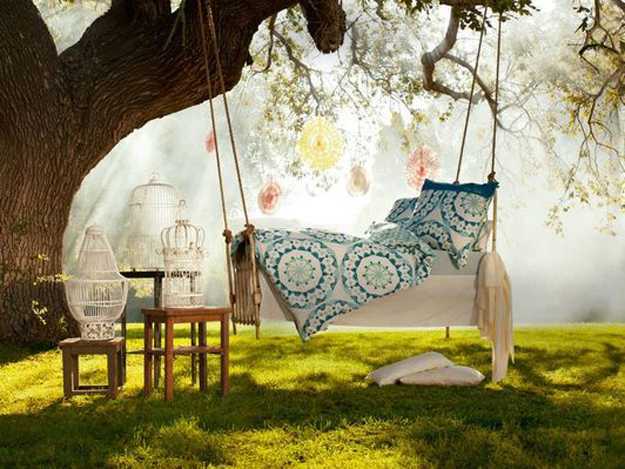 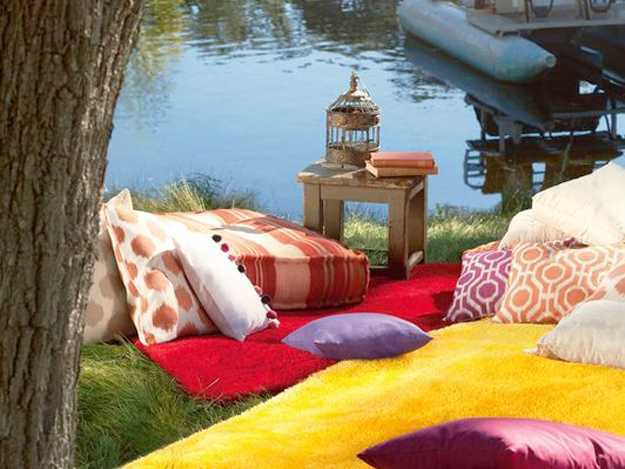 Cozy outdoor seating areas, hammocks and daybeds offer fun for kids and adults, making your backyard landscaping look welcoming, comfortable and pleasant. 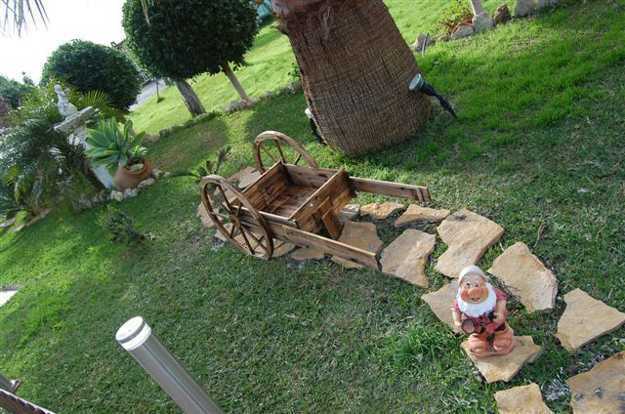 Fountains, small ponds, rock gardens, creative flower beds, beautiful garden paths, playful furniture items and handmade yard decorations are excellent for adding interest to your backyard landscaping ideas and turning your outdoor living spaces into spectacular retreats with charming and original details. 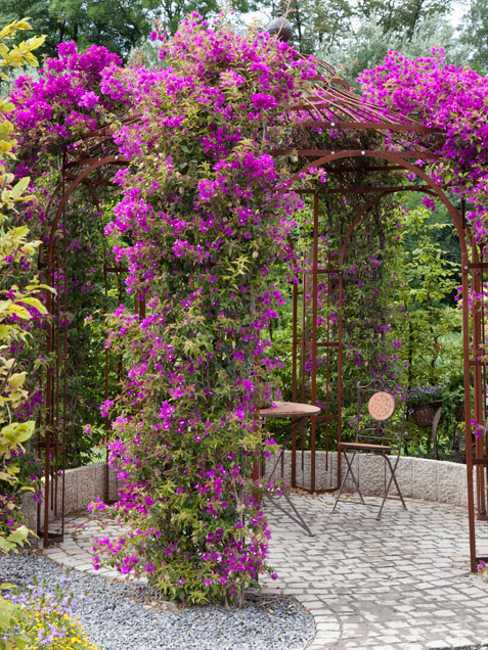 There are so many various landscaping ideas and yard decorations, from a uniquely decorated tree to unusually large ceramic pots with plants and flowers that can spruce up your backyard design. 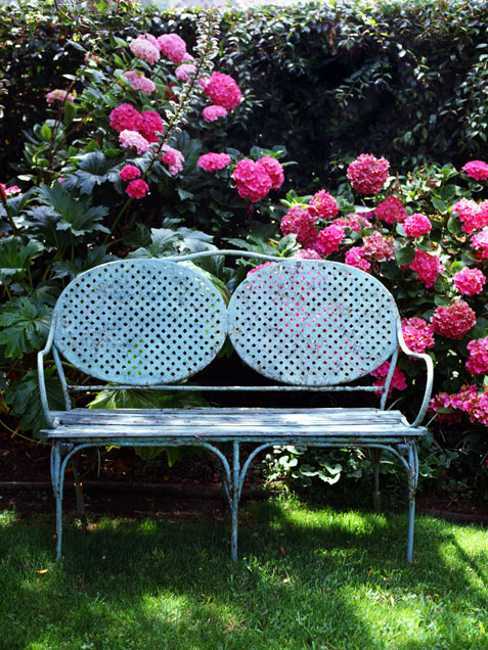 There are numerous creative and beautiful handmade yard decorations recycling old chairs and wooden ladders and adding fabulous centerpieces to your garden, porch, deck and patio designs. 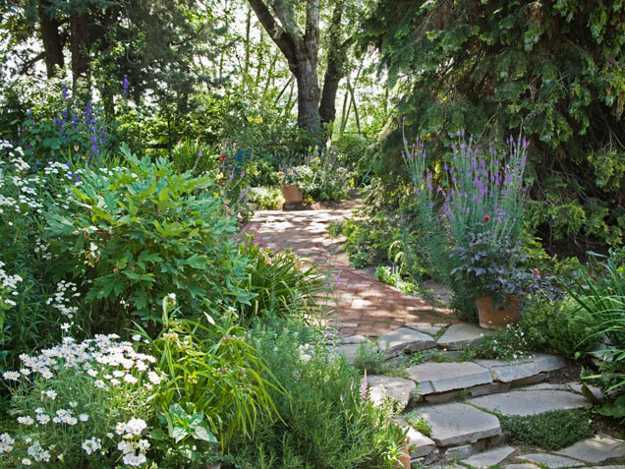 Rock gardens, charming paths, statues or spectacular flower beds are great landscaping ideas that add personality to your backyard landscaping. 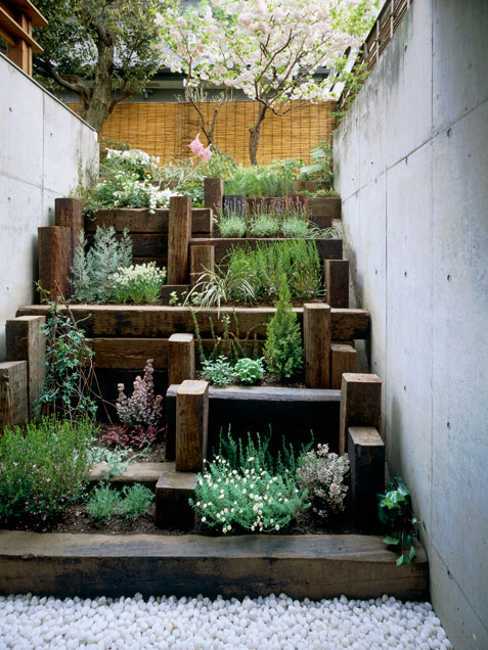 Low maintenance rock garden designs are especially convenient for busy lifestyle. 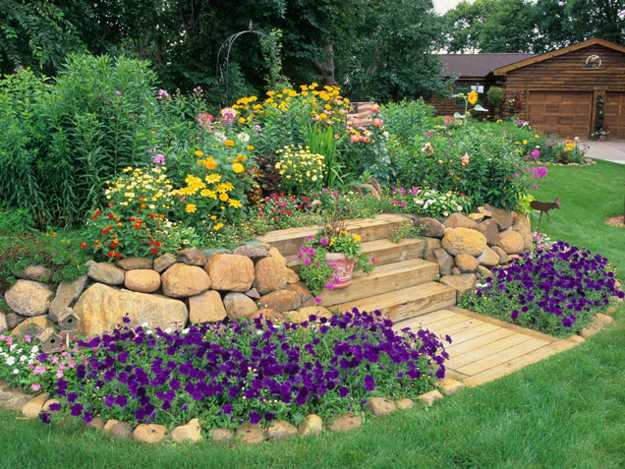 Rock gardens require very little effort and provide great centerpieces to admire, while adding to the beauty of your overall backyard landscaping. 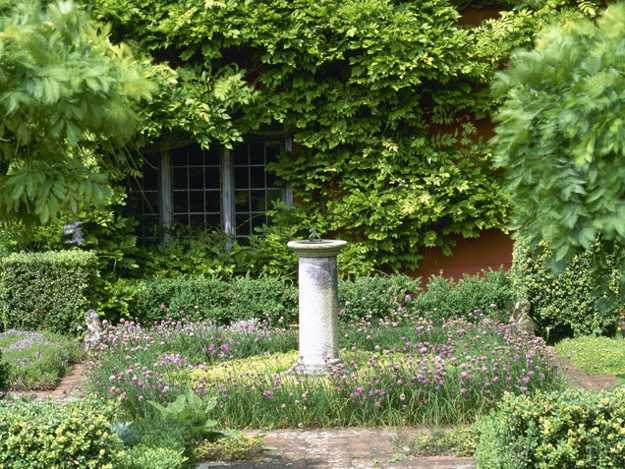 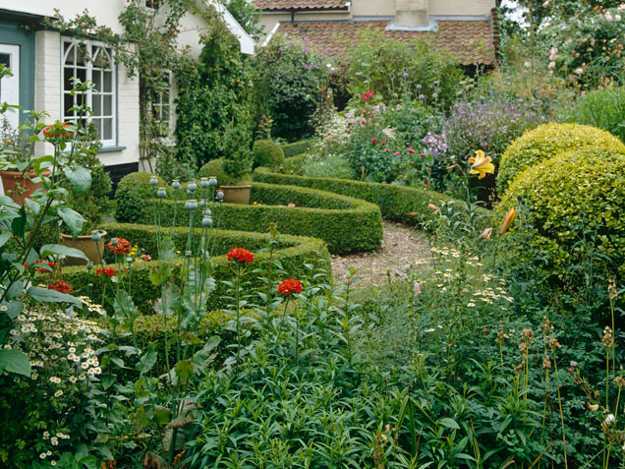 English cottage gardens and lawns look beautiful, informal and relaxing, adding a welcoming feel to your backyard landscaping ideas. 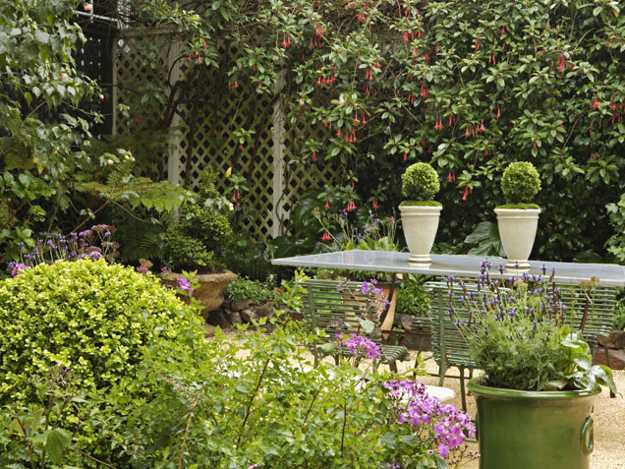 Letting the plants just grow and create natural, charming and organic garden design is a way to blend your surroundings with the nature. 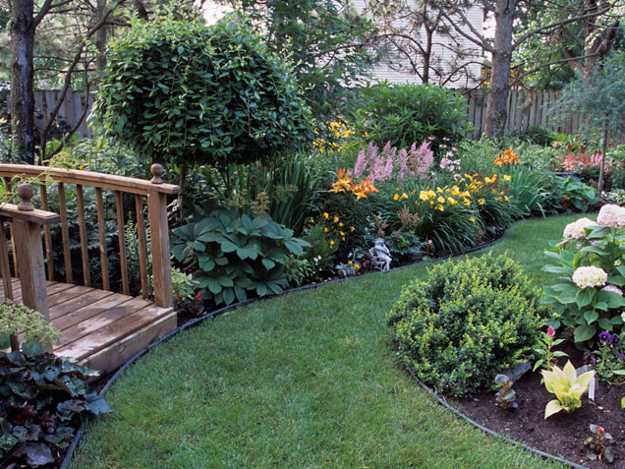 Lush green lawns are popular yard landscaping ideas which create pleasant outdoor living spaces for families to enjoy many different activities. 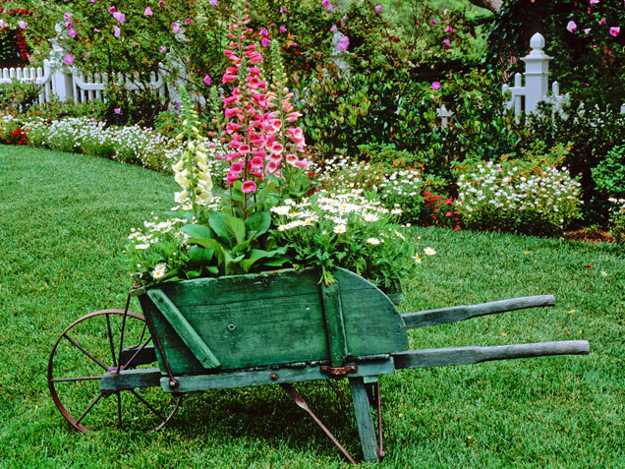 Lawns and cottage gardens adorned with simple yard decorations are one of the simplest of the landscaping ideas, and they help backyard designs stay beautiful and interesting for many years.